The journey of Jhal Muri – the crunchy and spicy snack from Kolkata – is as fascinating as the man himself, who took this popular snack from India to UK. 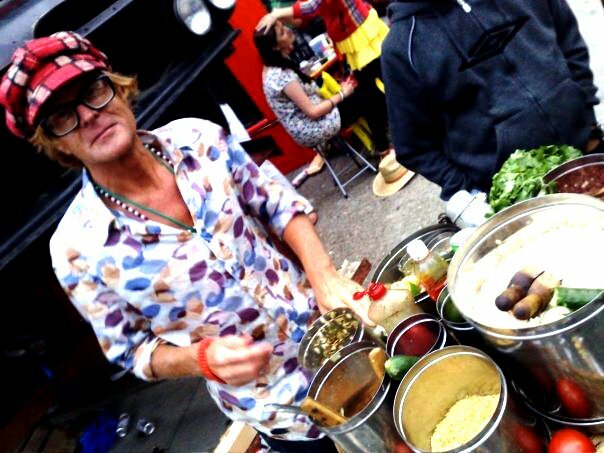 Meet Angus Denoon Duncan, former chef and the Jhal Muri man on the London streets. Angus was so fascinated by the snack during his stopover in Kolkata that he mastered the art of preparing Jhal Muri and started selling it in South London. But that is partially true. Duncan writes, “When I first came back from filming in Kolkata on the street food a production company wanted to do a pilot for some cooking show and they asked me to make a dish from Kolkata at Totnes market in south Devon. Angus does it purely a hawker’s way. He keeps moving from one street to another and people on the streets are so intrigued by his colourful display that they want to know and find out what it is that he is selling. Angus started selling Jhal Muri from a supermarket trolley and named his business ‘The Everybody Lovelove Jhal Muri Express’. Today, Angus does it in style. He now sells from a van, which he decorates as a temple, a harem or a brothel or whatever he feels like. Jhal Muri is crunchy, sweet, sour and spicy Kolkata snack, which is a mix of roasted rice, channa dal, peanut and sev– the fresh (tomato, cucumber, bombay onion, ginger, fresh coriander) and the flavors (lime, tamarind sauce, mustard oil, chaat masala and gram masala) all mixed in the pot and served in a paper cone and eaten with a spoon or hand. 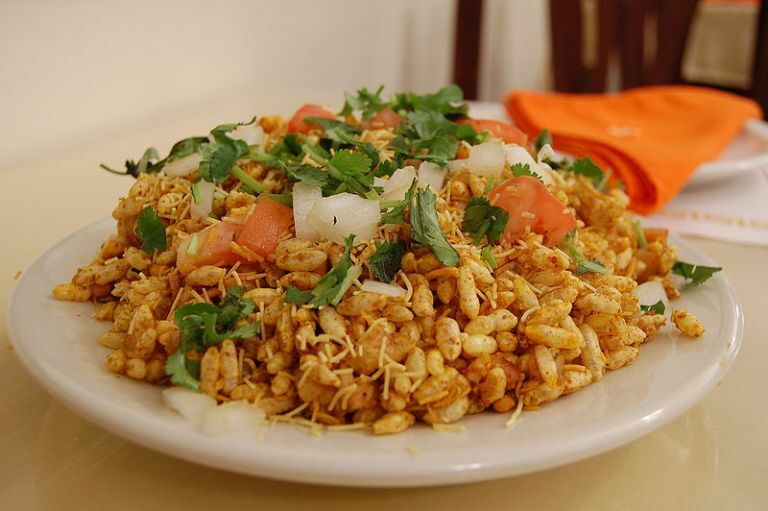 Jhal Muri is known by different names in India. 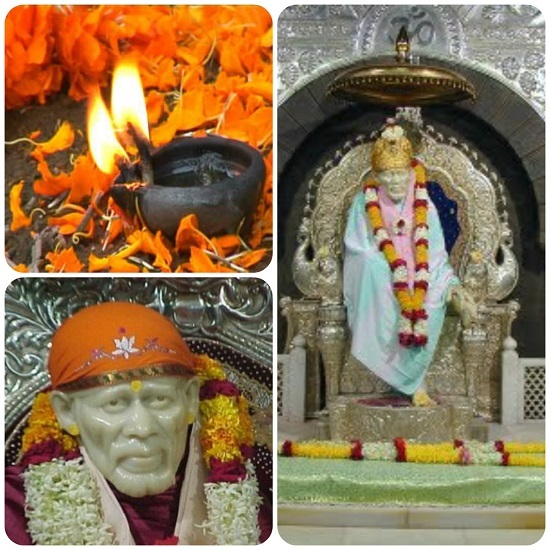 It is called Bhel Puri in Mumbai and Churmuri in Bangalore.